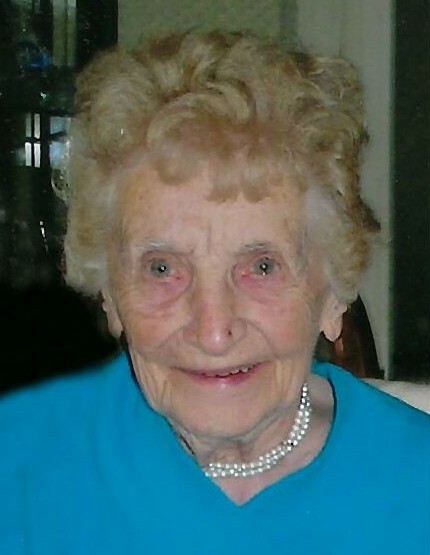 Pearl A. Pavlick, age 107, of 327 South 7th Street in Escanaba, passed away Sunday, March 31, 2019 at Bishop Noa Home in Escanaba. She was born on October 6, 1911 in Bark River, MI, the daughter of Edward and Alma (Guth) Zastrow. The former Pearl Zastrow married Lawrence Pavlick on June 20, 1933 in Bark River, MI and he preceded her in death on May 8, 2003. Together, the couple shared nearly 70 years of marriage. Pearl owned and operated Pavlick’s Gift Shop in Escanaba for over 6o years. She was a longtime member of Salem Evangelical Lutheran Church in Escanaba. Pearl A. Pavlick is survived by several nieces and nephews. In addition to her parents and husband, Pearl was preceded in death by two brothers, Milton and Harry Zastrow. Visitation will be held from 12:00 p.m. to 1:00 p.m., Wednesday, April 3, 2019 at the Anderson Funeral Home in Escanaba. Funeral services celebrating the life of Pearl A. Pavlick will be held at 1:00 p.m., Wednesday, in the Anderson Funeral Home Chapel with Rev. Paul Doletzky officiating. A luncheon will be served at the conclusion of the funeral services in the Anderson Funeral Home fellowship area. Entombment will take place in the Gardens of Rest Mausoleum.